In The Life of Fiction , Jerome Klinkowitz points out that "in 1975, Kurt Vonnegut, Jr. became the first American writer to be quoted by a starting pitcher in the World Series while at the same time having a song in the Top Forty." The pitcher was Bill "Spaceman" Lee of the Boston Red Sox (among other things, he cited "In nonsense is strength" from Vonnegut's 1973 novel Breakfast of Champions ). The song was Nice, Nice, Very Nice by Ambrosia, from their self-titled 1975 debut album . The lyrics are adapted from Vonnegut's 1963 novel Cat's Cradle . In the book Vonnegut created Bokononism, a religious movement indigenous to the poverty-stricken Caribbean island of San Lorenzo, where much of the action takes place. Bokononism teaches that all religions are based on lies--especially Bokononism--but by embracing these harmless untruths (called foma by Bokononists) we can live some semblance of a good life. In keeping with its Caribbean origins, many of the key precepts of Bokononism are set down in the form of calypsos. The lyrics to "Nice, Nice, Very Nice" are drawn (with some embellishment) from the 53rd Calypso of Bokonon, as quoted in Chapter 2 of Cat's Cradle. Vonnegut was delighted with the song, and shared a writing credit with the band. Ambrosia founding member Joe Puerta told Classics Rock! in an email: "It was quite a thrill for me, being a huge Vonnegut fan, to share writing credits with one of America 's foremost writers." I was at my daughter's house last night, and the radio was on. By God if the DJ didn't play our song, and say it was number ten in New York, and say how good you guys are in general. You can imagine the pleasure that gave me. Luck has played an enormous part in my life. Those who know pop music keep telling me how lucky I am to be tied in with you. And I myself am crazy about our song, of course, but what do I know and why wouldn't I be? This much I have always known, anyway: Music is the only art that's really worth a damn. I envy you guys. 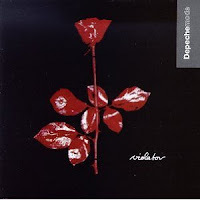 The letter is reproduced in its entirety in Ambrosia's 1997 CD Anthology . 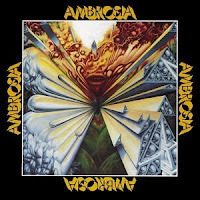 Yea Nice Nice Very Nice is a Classic song off Ambrosia's brilliant debut album! IMO one of prog rock's most underrated bands from the mid-'70s. The only truly prog band w/ a geat pop sense combined w/ subtle Spanish/LA flair plus every bit the musicianship of Yes and Genesis. If their debut album had been the hit it deserved to be, the band would have probably pursued their prog tendancies instead of becoming the sappy (but huge selling) ballad band they became in the '80s. The seemless combination of Joe Puerta and David Pack on this song rivals any other dual lead singer band. Also, the rest of the album places this debut on my critics fav debut album list—definitely on mine!